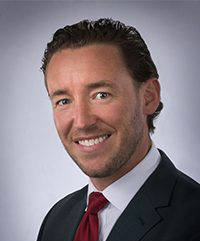 Mike Alderton is an experienced real estate professional specializing in the structure and implementation of capital solutions for individual and corporate clients in the Greater Washington DC Region since 2010. At MetCap, Mike will focus on originations of debt and equity for owners of commercial real estate in the Washington DC region. Mr. Alderton’s experience includes forecast analysis through financial modeling, business and individual project valuation through financial analysis and stress testing, and collaborative debt structuring through the management and expansion of multiple commercial portfolios. He has sourced a wide range of funding including ground-up construction, urban infill and rehab, income producing property acquisition, and working capital for nonprofit organizations and start-up ventures. He has been a member of NAIOP Developing Leaders, Urban Land Institute, and Associated Builders and Contractors.